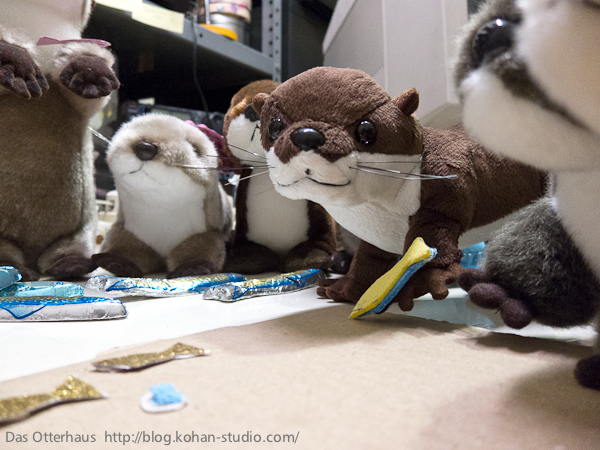 Das Otterhaus 【カワウソ舎】 | Otterfeast ! This evening I've got a packet from Paris. 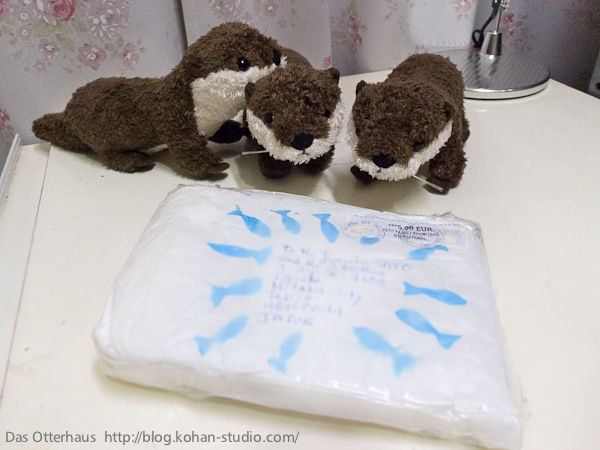 Addressing on the envelope says it's for me and 3 otter brothers. 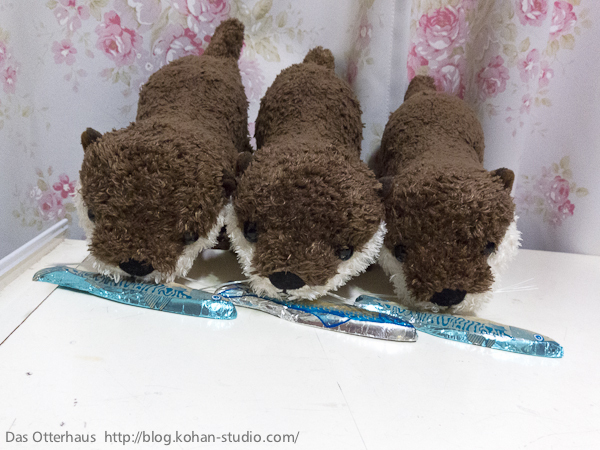 Here are 3 otter brothers. 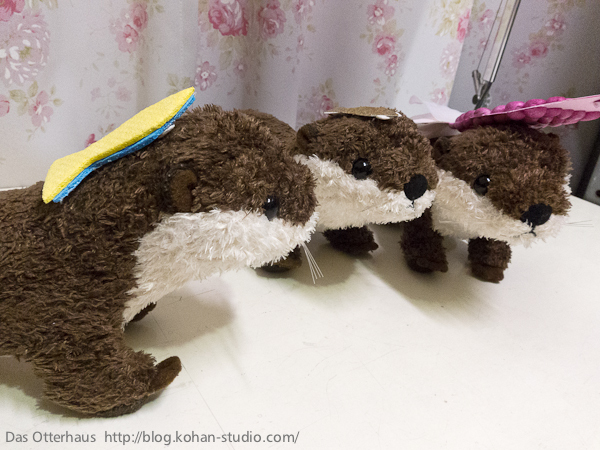 Needless to say, they are stuffed otters. 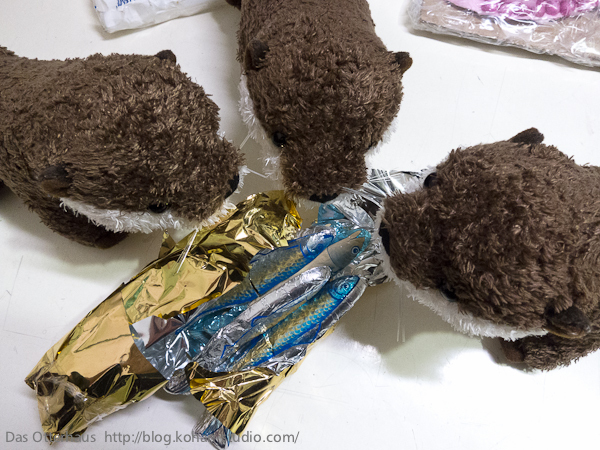 The packet is from Louloute the otter and her keeper Beatrice. 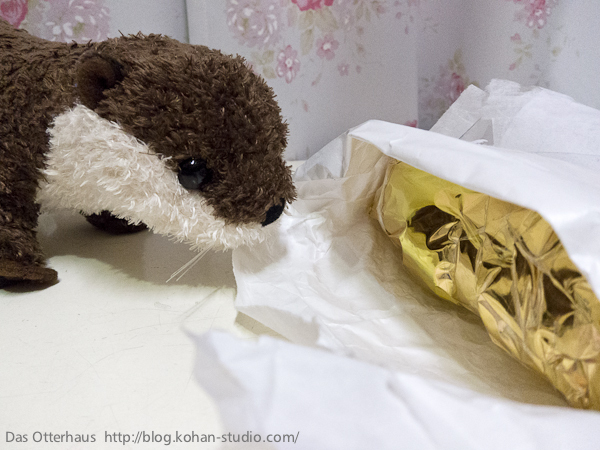 When I opened it, one of the brothers sniffed it. Aha ! 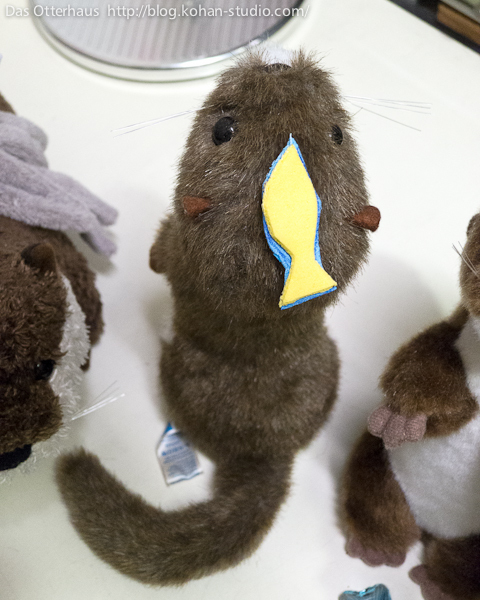 It's fish! 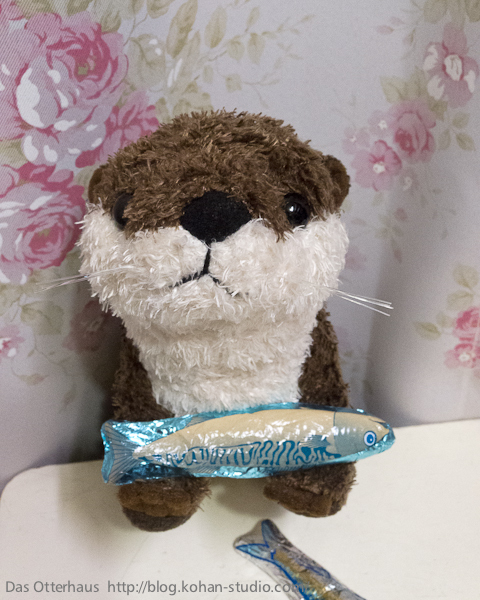 Fish!!! Pya! 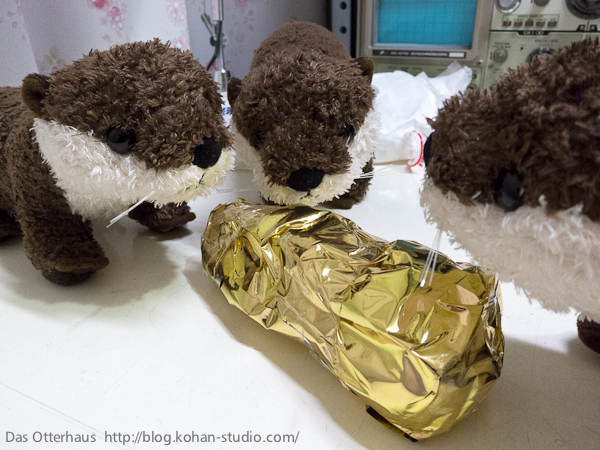 The brothers are trying to eat them immediately. Hey brothers! 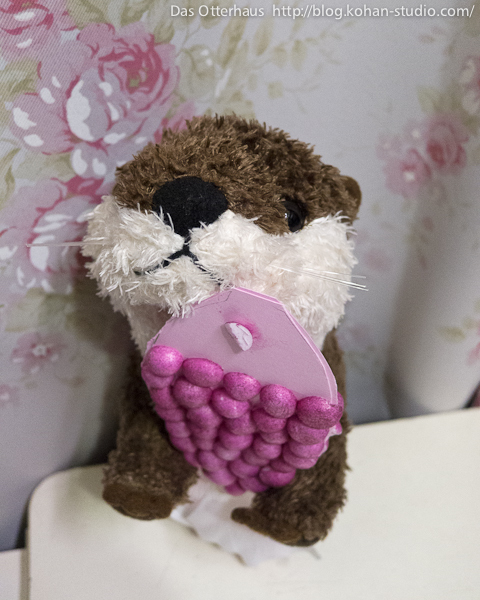 Before you eat them, listen to the message from Louloute! 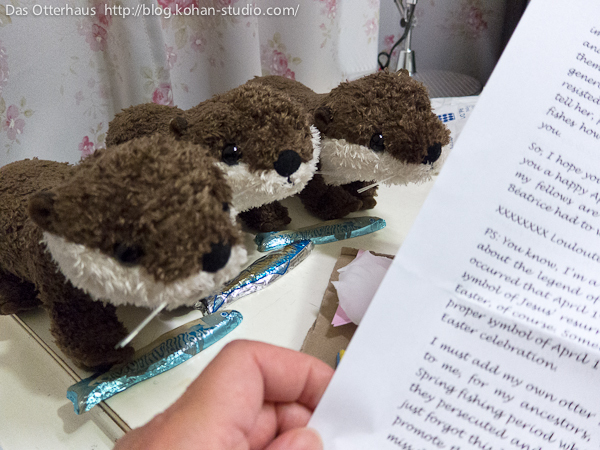 Then I read the letter from her. I don't know whether they understand it or not. In France, April 1st is called "poisson d'avril". 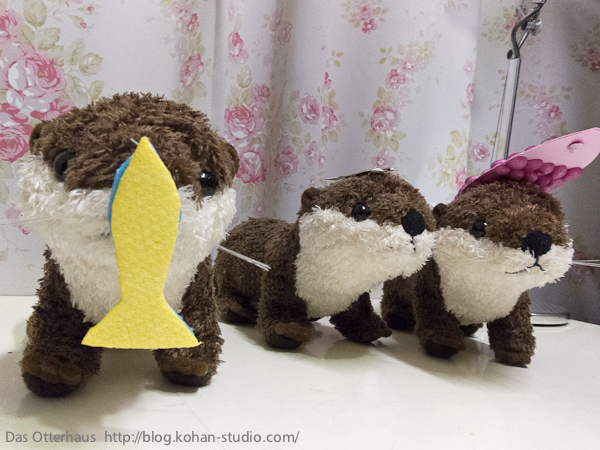 They make jokes and stick fish onto people's back. 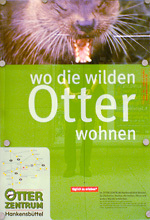 Louloute proposes we should cerebrate it also for otters. 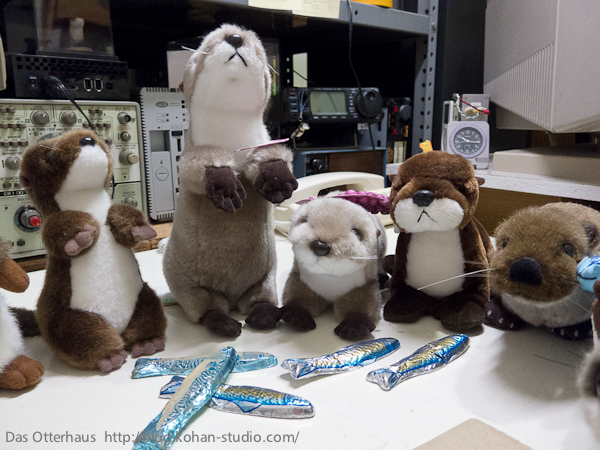 So it's "Otterfeast". No, you stick it onto others back. Keep it up! That's proper French tradition. 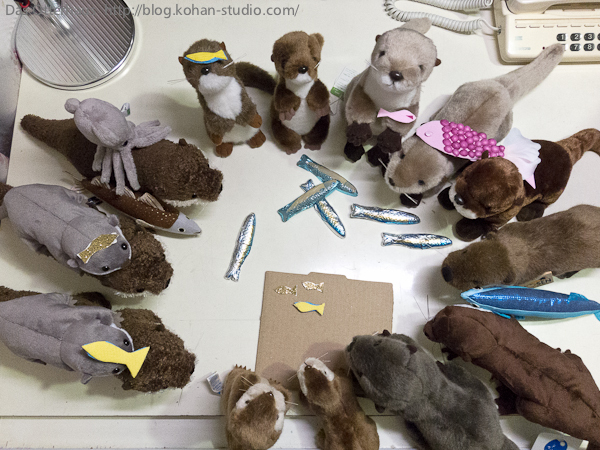 In the letter, Louloute suggests we should share the fishes with other otters. So the brothers called the other. 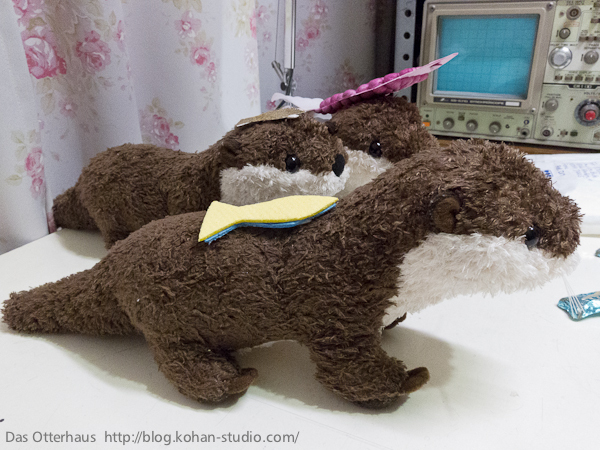 And the brothers carry baby otters on their back. It's peculiar. They must be all male. Who bore??? Different kind of faces. 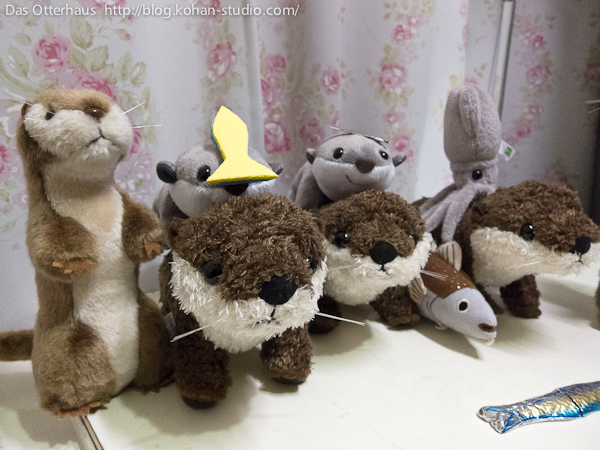 But they are all otters. 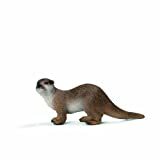 Cool otter guy! He must be small-clawed newcomer. 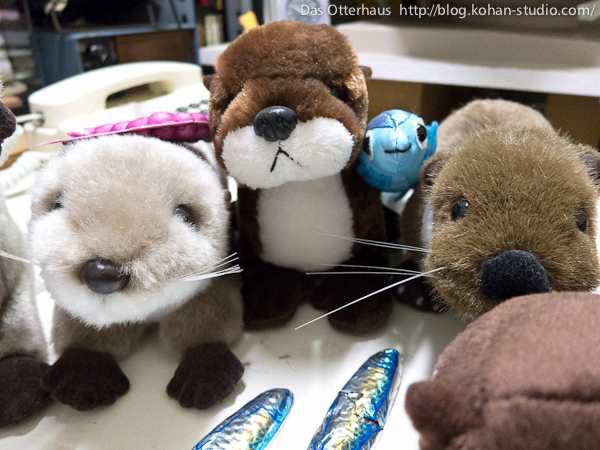 A blue fish stays between the otters. 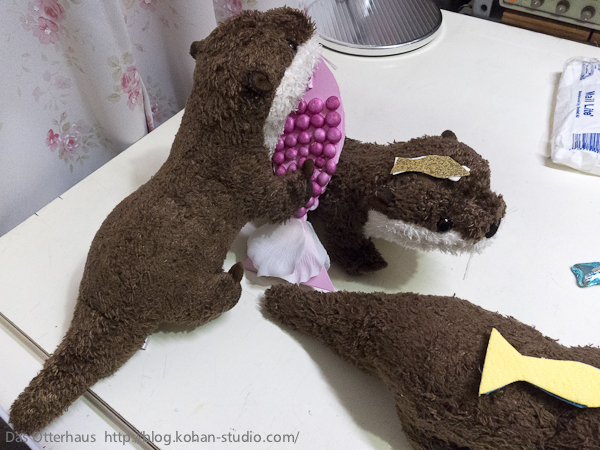 Thank you Louloute and Beatrice! 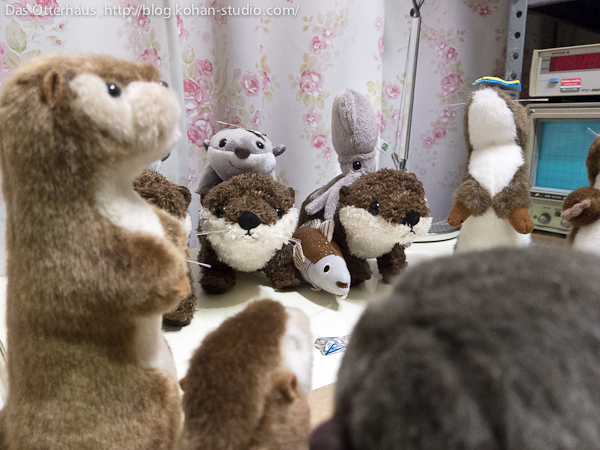 Where captive otters live in Japan.